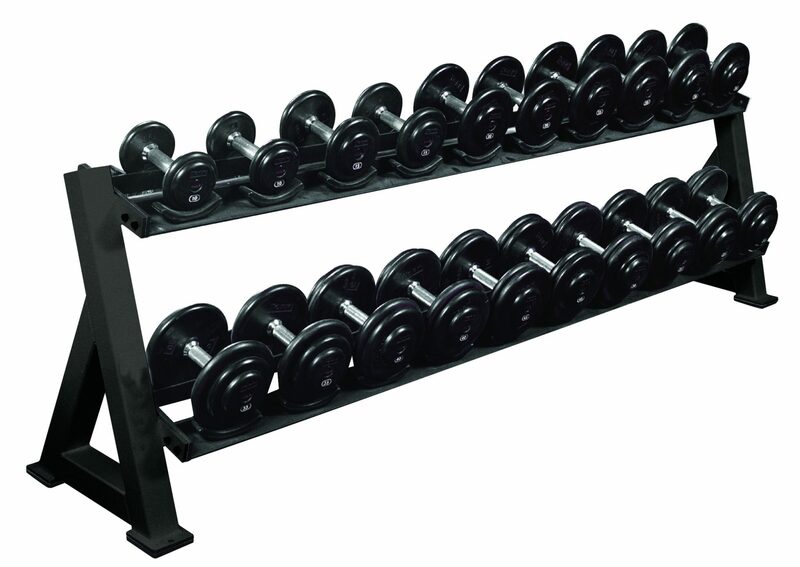 This A-frame dumbbell rack holds 6 pair of dumbbells in an easy-to-access double sided format. 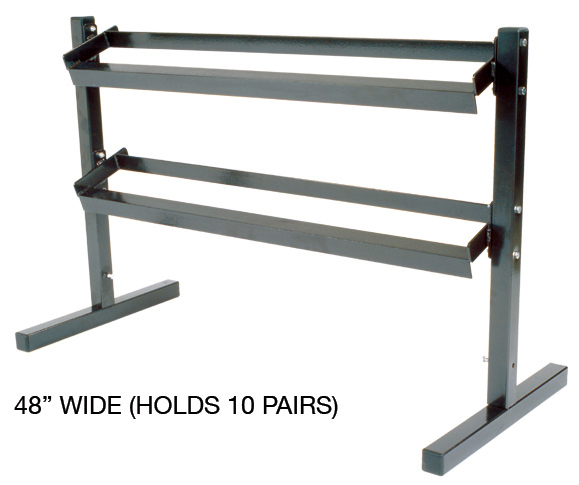 The A-frame design helps to distribute the weight and the wide base pieces keep the stand from tipping. 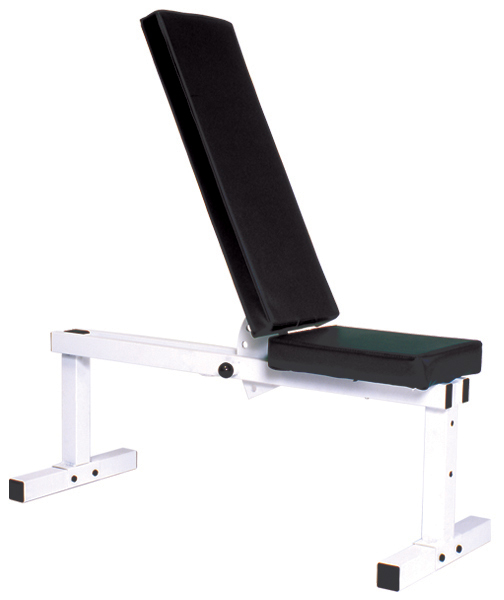 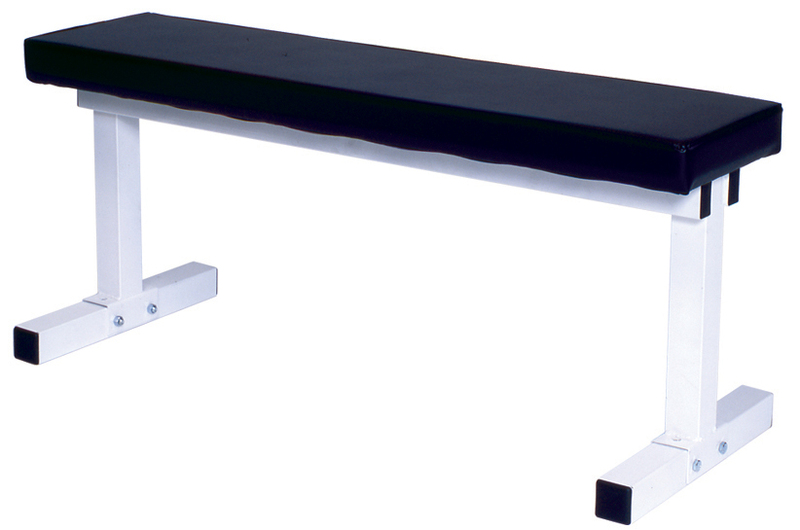 Plastic guards on the dumbbell rests cushion equipment and reduce noise. 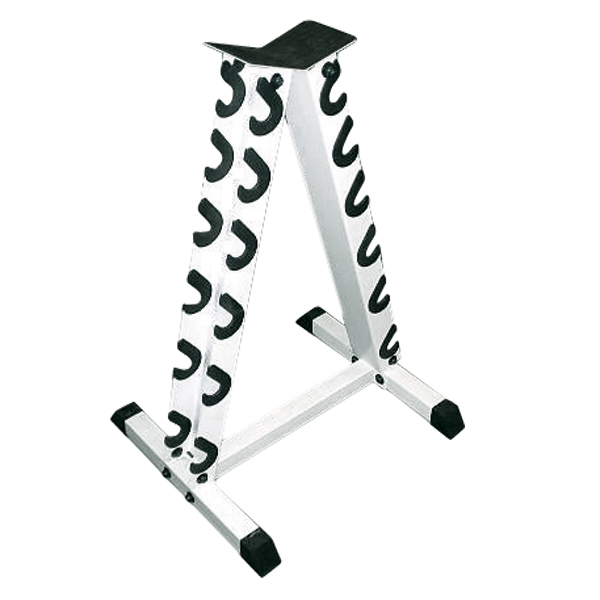 Plastic foot caps protect flooring and the bright white color will liven up any space.